If you follow my team and me on Instagram, you probably remember us posting photos of the most delicious baked goods a few weeks ago. I rounded up my LaurenConrad.com editors, my favorite photographer Yoni Goldberg, and one of my friends who happens to be a fabulous baker, Lauren Lowstan. We threw on our Little Market aprons and created so many amazing things throughout the day (stay tuned, I’ll be posting them over the next few weeks!). But one of my favorite tricks I learned was how to make rose cupcakes. Take your cupcake and your icing bag and start in the middle. Then, simply squeeze the icing while making a circle around the entire circumference of the cupcake. Easy as that! This new kitchen trick might be one of my favorite ones yet. 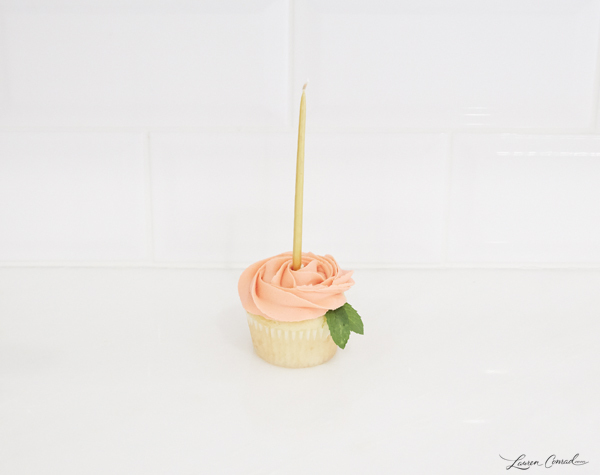 In the very first photo above, I just added a little mint leaf to the side of my cupcake icing and a pretty candle. 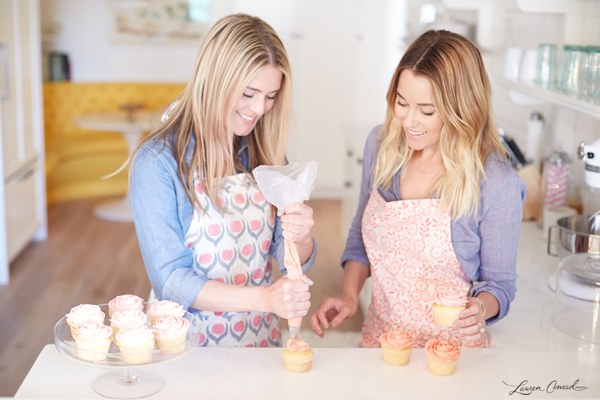 Consider the treats for your bestie’s next birthday covered! These are also great to make for Easter celebrations and other spring holidays. 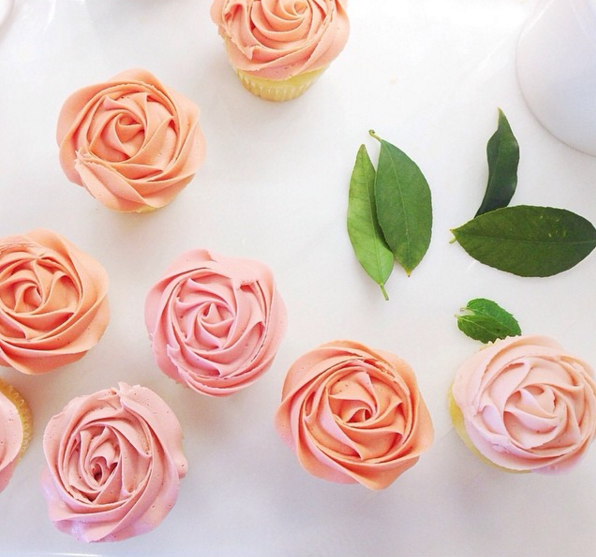 Will you give my rose cupcakes a try? And what’s your favorite treat to bake in the spring? Another big thanks to Yoni Goldberg and Lauren Lowstan for this tutorial! P.S. 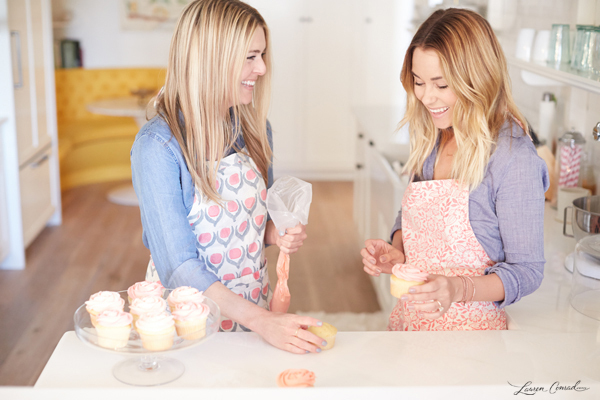 Click here to shop for The Little Market apron Lauren is wearing above, and click below to shop for the rest of the necessities you will need for your cupcakes.